Personal Injury | We get results! Free consultation. Se habla español. Were you injured in a motor vehicle accident, a “slip-and-fall,” a dog bite, or any other traumatic injury as a result of someone else’s negligence? An accident that injures or kills someone is never expected and can be devastating to a family; especially if the person injured is a wage earner. High medical bills, continued household expenses and a loss of income can be extremely stressful. In these situations it is important to seek legal advice to understand your options and to ensure you maximize your benefits and compensation. 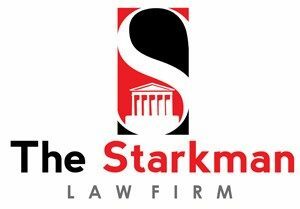 That’s why you need to contact the experienced attorneys at The Starkman Law Firm to represent you today. As a result of our experienced and aggressive representation, our accident and personal injury lawyers have helped 1000’s of victims and their families obtain cash settlements for Pain and suffering, lost wages, and medical expenses. In most cases our accident and personal injury lawyers are able to obtain favorable settlements outside of the courtroom, making the experience an easy one for our clients. Only when necessary will we take a case to a jury trial. We represent clients with all types of serious injuries, including neck, back, any spinal injury, cuts and scarring, neurological injuries, broken bones, disfigurement, amputation and death. Our attorneys possess both the experience and the empathy to understand the physical and emotional nature of these injuries and provide you with the highest levels of service. We have also developed an ever expanding network of physicians in all specialties who can offer their medical input and testify at trial if needed.